Dugites are either brown, green, or grey. However, the colors vary between individual snakes. However, the most distinguishable feature of a dugite is the shape of its head. It is quite small compared to the neck, as it grades gradually into the body. 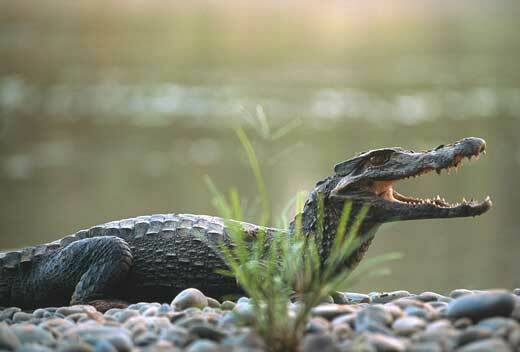 They can grow up to 2m (6.56 feet) long. Dugites are often found in the southern region of Western Australia as well as the remote coastal regions of western South Australia. They prefer staying in sandy areas, and will not normally approach a populated area unless it is looking for food and water. 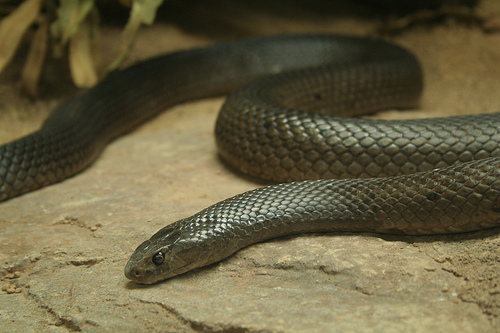 In Western Australia, dugites are commonly found in bushland areas, however the numbers of dugites are diminishing. They are protected under the Australia’s Wildlife Conservation Act 1950. This means if someone tries to injure or kill a dugite, they can be fined up to AUD$4000. Dugites are diurnal, meaning that they aer most active during the day. This is quite common with other brown snakes. 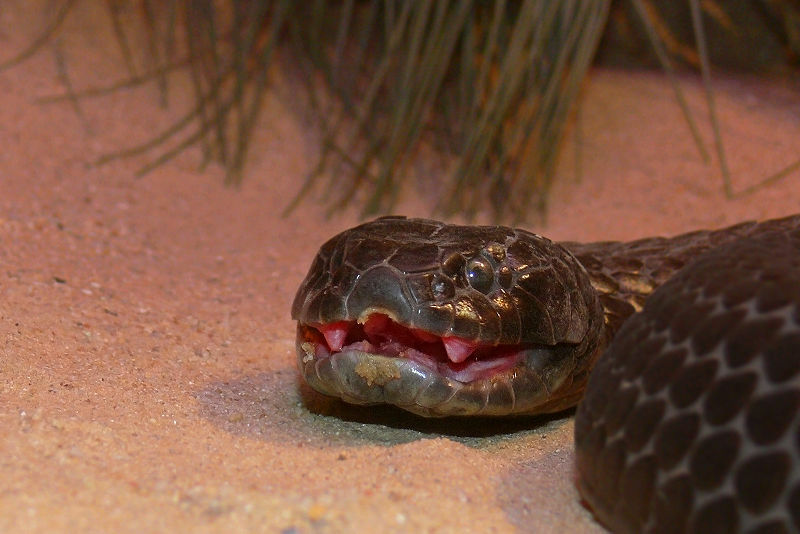 In terms of reproduction, a female dugite can lay between 10 to 20 snake eggs at one time. As mentioned above, the dugite is an extremely venenous snake. In fact, it is one of the most lethal in the world as it causes coagulopathic and precogulant effects (meaning that the blood will clot and therefore the victim will die). Despite this, dugites do avoid biting humans but humans are at risk as the numbers of dugite-human encounters rise when they are more active during the mating season which runs during October and November. 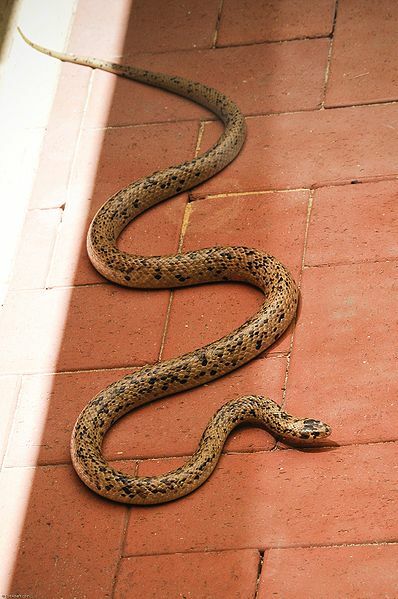 In fact, the last death that was attributed to this snake was in 1993, when an elderly male died in Spearwood which is one of Perth’s southern suburbs.